Wine Racks – GS Woodwork Inc.
Wine racks are an essential requirement for anyone who collects and enjoys wine. Apart from being functional by storing your bottles in the correct position they have also become a central element to a modern or rustic decor. 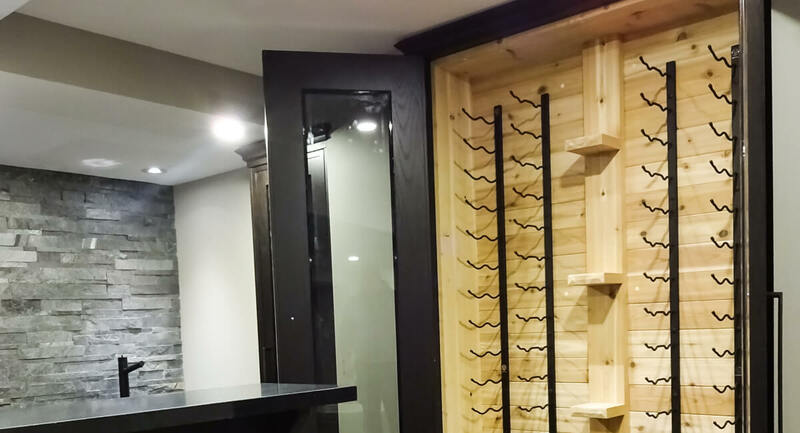 We specialize in the manufacture of elegant, sophisticated, made to measure wooden wine racks and cabinets for home or commercial purposes, whether you are looking to create your wine cellar or would simply like to display your wine in your kitchen or basement. Our wine cellars are an elegant way to store your bottles of wine and become an iconic piece of furniture. 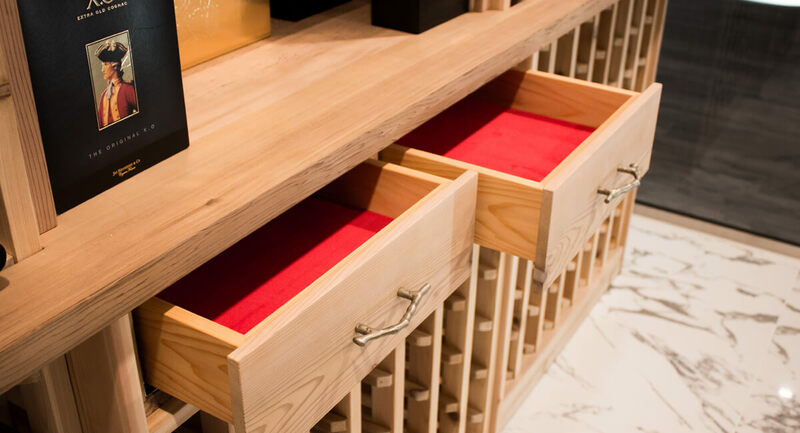 With multiple designs to suit modern, or traditional décor and commercial or residential budgets, you ought to find your ideal wine storage solution among our vast range of wine racks and wine cabinets, all sublimely marrying modern, tradition and craftsmanship. We can also manufacture custom cabinets to suit the quantity of wine to be stored. View more Built-in projects in our gallery! Copyright © 2017 GS Woodwork Company Inc. All rights reserved.